What's the best Video Converter for Nexus 10? I just got this new Nexus tablet from Google and I love it. Well, there are many videos on my computer and I would like to add them to my tablet so I can watch them wherever I go. What do I need to do? Do I have to convert videos for Nexus 10? Thanks. The Nexus 10 is released with a 10.1-inch, 2560×1600 pixel display, which is the world's highest resolution tablet display. You can absolutely enjoy any of your videos/movies on Nexus 10. After all, it's easy and fast. 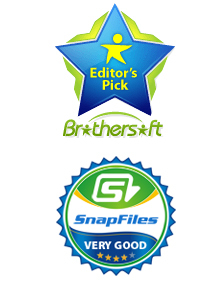 However, you should be aware of the fact that there are various file formats concerning different sources. For example, you will get AVCHD videos from camcorders, AVI/MKV from torrent movies. Many of these file types won't be recognized by Google Nexus 10. What we need to do is convert video files to Nexus 10 compatible movies. No matter how you get the video, Video Converter is all you need. This professional Nexus 10 Video Converter is able to convert videos between various formats, including AVI, MKV, WMV, MP4, MOD, TOD, M2TS, DivX, AVCHD, etc. There are also many other features built in this tool to let you convert videos effectively. Below is the step-by-step guide on how to convert videos for Nexus 10. Check it out. There are the downloading links listed below. 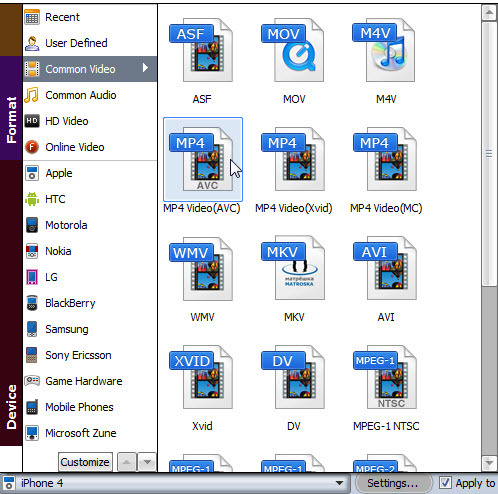 For Windows users (Windows 8/7/Vista/XP), you may use Video Converter. 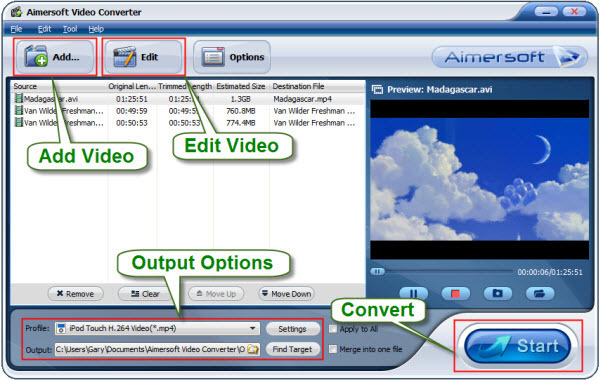 For Mac (Snow Leopard, Lion and Mountain Lion) users, you need Video Converter for Mac. 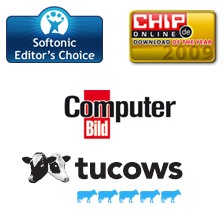 Download, install and launch the software on your computer. Here we take the Windows solution as an example. Click on "Add" button on the tool bar, go and find your video files, and load them into the program. Since batches conversion is supported, you are allowed to import multiple pieces. Files will be shown on the main panel. There is a built-in video player which lets you preview the file if you want to. If you are wondering, Google Nexus 10 tablet support MP4 format perfectly. Here you may hit on "Profile" button, from the drop-down list you may go to "Common Video" and choose "MP4" as the output format. That's it. As you can find out, this powerful Video Converter for Nexus 10 is capable of convert files to any format or devices you want. Before converting, you can even edit the videos a little bit. By clicking on "Edit" button, you will be able to crop videos, trim videos, adjust video effects, etc. Done with all settings, press on "Start" button and this smart software will begin the video files to Nexus 10 conversion task. How to easily sync & transfer iTunes onto Nexus 10? How to convert & watch Amazon videos on Nexus 10? How to convert & copy any DVDs onto Nexus 10? How to transfer videos/music from iTunes to Kindle Fire? How to rip & convert DVD movies to Kindle Fire?